Today, on behalf of a broad coalition of sound science and property rights advocates, we filed a petition with the federal government to delist the Preble’s meadow jumping mouse from the Endangered Species Act. The Preble’s mouse has been considered its own subspecies since the 1950s, and has been listed as threatened since 1998. But for almost its entire tenure under the Endangered Species Act, the mouse has attracted considerable controversy. One reason is the significant negative economic impact that the listing imposes on property owners in Wyoming and Colorado, an impact that the United States Fish and Wildlife Service itself estimates to be over $200 million over twenty years. Another reason is the rather slim scientific basis for the Service’s conclusion that the mouse comprises its own listable subspecies. Our delisting petition attacks that conclusion head-on. The petition relies on a 2013 study published in the Journal Molecular Ecology, authored by Jason Malaney and Joseph Cook, researchers at the University of New Mexico. The Malaney and Cook study was the first ever to review all jumping mouse populations in North America. Its conclusion was remarkable: the Preble’s mouse is part of a larger lineage of jumping mouse so prolific that it extends north through Canada and into western Alaska. Prior studies supporting the mouse’s separate subspecies designation had not looked beyond mouse populations adjacent to the range of the Preble’s mouse, and for that reason had missed the strong genetic and other similarities that the Preble’s mouse shares with its northern brethren. Once those populations are taken into account, it’s clear that the Preble’s is not in danger of extinction, and should be delisted. Delisting the mouse will vindicate the courageous work of many scientists—including Dr. Rob Roy Ramey, our lead petitioner—who some time ago called into question the Service’s science yet were blackballed and made pariahs among their professional colleagues for daring to question data, even if it might lead to a delisting. It also will vindicate the property rights of landowners in Wyoming and Colorado who, for nearly twenty years, have labored under arduous yet totally unnecessary environmental regulation. But critically, a delisting also will vindicate the true purpose of the Endangered Species Act: to conserve populations that really are in danger of extinction. 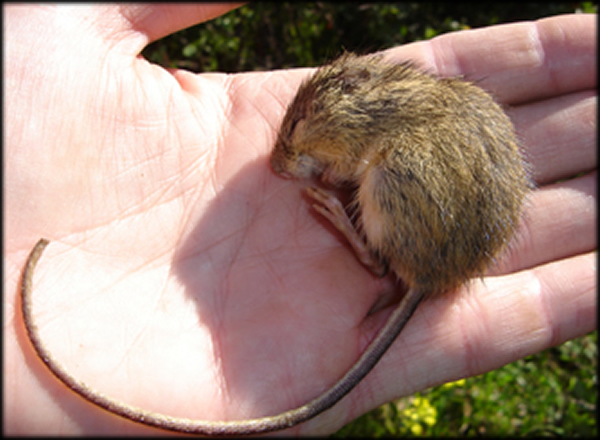 The Malaney and Cook study noted that there are several populations of jumping mouse substantially more threatened than the Preble’s that have no protected status. If only the millions of dollars that have been spent needlessly on the Preble’s had been properly prioritized, perhaps those populations would not be doing as badly as they are.